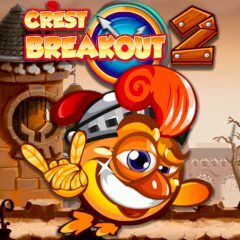 Are you ready to play new adventures of Crest It's not that harmless chicken as it was before. Today it's a brave knight that is willing to save princess. The road is dangerous and he has to use brains, his wings and his sword to complete each level successfully. Run and see how far you can get.